Hello! I’m Sebastian (538isAlive online), and I guess I’m here to share my story with you! My parents knew I was albino the day I was born, because the doctor who delivered me had never had an albino patient, and when he yelled “IT’S AN ALBINO” when I was crowning was kinda a dead giveaway. I was born with bright silver-ish hair (which I lost not long after, only making way for the place white hair that I naturally have now). I got my first pair of glasses when I was around 4 or 5, and got an IEP right after I started school because I’m legally blind. (It basically made it so I could move up in the class if I couldn’t see, have the teachers blow a worksheet up, etc). Once I got to middle school it got a little rough because I had quite a lot of people who just decided that they didn’t like me because I was different. That’s still going on now, actually. 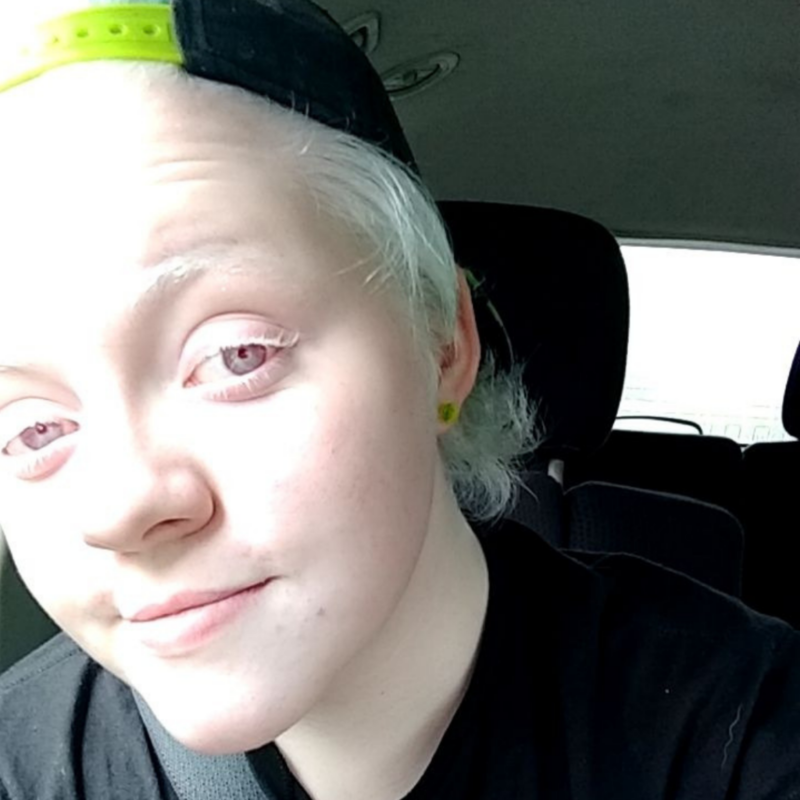 High school came around and I came out as transgender (ftm). That just gave people more reasons to not like me. 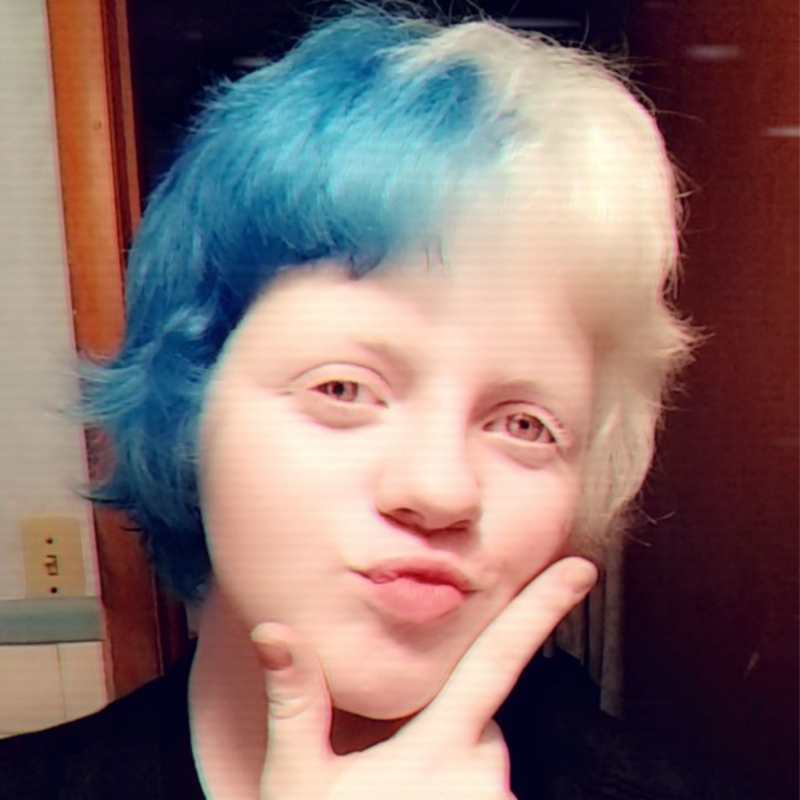 However, at that point I had learned that I could dye my hair VERY easily, and that I had passions for music and art, so I used my self expression to finally come around and accept that I’m going to be different whether I want to or not. That led to me accepting and loving myself. So now here I am. Graduating high school next year with brightly colored hair and a smile because being different isn’t a bad thing. Being different makes you stand out, and when you stand out, you can change the world (which, hopefully, I’ll be able to do).